Toxic fumes, reduced oxygen levels, and combustible atmospheres are among the most dangerous hazards workers face. Even with an abundance of knowledge, air sampling technology and Personal Protective Equipment (PPE) available to employees, careless mistakes are made when entry and exit procedures aren’t carried out properly. Before sophisticated gas detection technologies were invented, coal miners were required to rely on the help of canaries to detect carbon monoxide and other toxic gases upon entering a potentially hazardous atmosphere. If the canary died during the descent down into the tunnel, this alerted the miner that toxic gases were present, encouraging them to evacuate immediately. Luckily, the days of the “Canary in a Coal Mine” are long gone. Today, workers have access to a variety of instruments such as gas monitors and confined space monitors that allow them to take measurements of the atmosphere before entering a confined space. Relying on safety equipment alone, however, isn’t enough. Deaths can still occur when protocols aren’t in place, or worse, employees choose to ignore them. For a full list of violations, click here. Although the hazards of working in confined spaces are many, most of the deaths we see reported each year are 100% preventable. Providing adequate training and safety equipment to your employees is critical in protecting them from unnecessary risks and implementing safe work practices on your worksite. 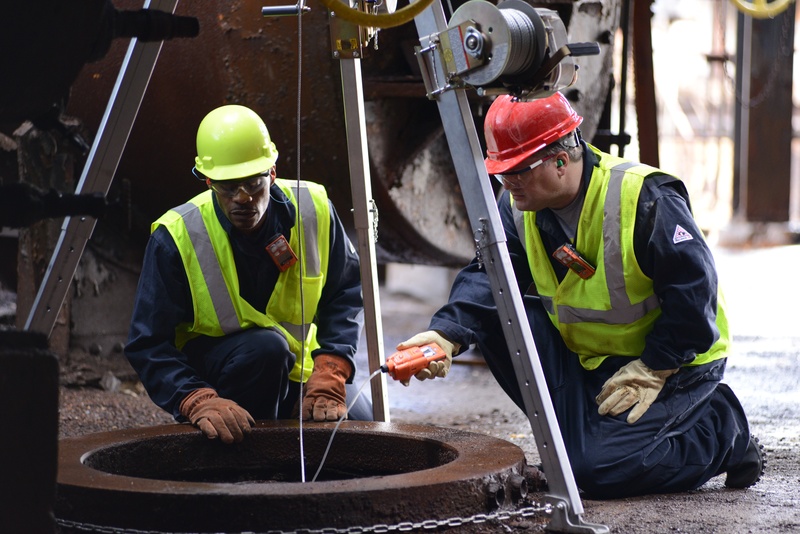 Before allowing work to be performed, a hazard assessment should be completed that takes into account the potential types of atmospheres, physical hazards, and temperature extremes employees may face as they enter and exit a permit confined space. Our safety specialists are here to assist you in identifying hazards and select the best instrumentation for your worksite. Want to learn more about proper Confined Space Entry? CLICK HERE to download a poster for your worksite. CLICK HERE to learn more about the Instrumentation products ORR Safety offers.